Quite simply the Key Racing System (also known as KRS) is a tipping service that gives you straight win bet selections for UK horse races. It is claimed that this 'secret' system is the 'culmination of a long process' that has 'taken the positives from the winning systems/methodologies' that they have used over the years to arrive at this winning system. These are the words of KRS, not my own! 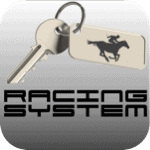 The Key Racing System has established two secret winning Keys which have been used to successfully make selections. These Keys help throw up a selective amount of bets per week but there will be days when no horses fulfil the two keys criteria. Be aware you NOT buying the system itself, only the selections produced by it that will be sent to you by the owners of KRS. The cost of the service is £65 per 28 days or £139 for 90 days. Taking out a quarterly subscription offers a 28.7% saving in the long run and brings the costs down to around £1.50 per day. KRS email the selections out daily and all bets are based on a level stake of 2% of the original bank. We prefer to stake at £10 per selection for review purposes, making our nominal bank one of £500. We shall record and report the results for a period of 60 days, declaring the figures to advised odds. Hope you don’t mind but may I point out a few errors in your figures above. First of all on Day 15 the dead heat should show a profit of £20 not £25 as a dead heat is settled as half the stake at the full odds and the other half lost. This means £5 at 5/1 returns £30 less the £10 bet making a profit of £20. Secondly on day Day 26 you show a loss of £10 but take away £20 from the total and then on Day 27 you have a loss of £10 but this time add £10 to the profit total. All in all I believe the total should be +£43.94. I appreciate your hard work in compiling these reviews and realise that mistakes happen so please don’t take it as criticism, at least you know someone is reading it and paying attention. Thanks for taking the time to let us know, we do appreciate the help! 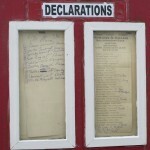 I’ll take a look today and have any necessary amendments made.